Panzer Grenadier players may wonder why very few references to the use of chemical weapons by the Italians are included in the scenarios of Conquest of Ethiopia. After all, this is a well-known subject in the historiography of the war. But are we so sure that is it actually so well-known? The aim of this article is to provide some insight into the matter. We will start with by explaining why the game scale of Panzer Grenadier is not suitable for reproducing the use of chemical agents as carried out by Italy during its war against Ethiopia. During this conflict chemical weapons were used (primarily) by Italian Air Force and (secondarily) by field artillery, mainly as a sort of area denial weapons. They were also used, but less so, for disrupting the primitive Ethiopian logistics. We begin by describing the latter. Usually Ethiopian combatants moved with servants, wives, horses and other animals for food and transportation; as soon as they were spotted by Italian airplanes, they took to cover leaving their livestock in open ground. Strafing and bombing such livestock could not work, because animals would run away after the first blasts. So, it was possible to weaken the overall capability of the enemy’s armed masses by bombing their primitive logistics with chemical agents. For the same reasons, tent bivouacs were also targeted, so the hidden Abyssinians could not recover their belongings. In most cases, however, such weapons were used as a preventive measure for denying enemy approaches toward fords, favorable firing positions, canyons, and so on (refer to the table in the annex 1 for details about such targets). Bearing in mind that Ethiopian combatants typically wore sandals or were barefoot, yprite was largely used because of its higher persistence with respect to other volatile chemical agents. The primarily usage of chemical agents as area-denial weapons is also demonstrated by the official denomination of such kind of bombings inside the mission orders and records: “Sbarramento C” (more or less: “Blockage C”, for Chemical), and doctrinal documents for operational employment in this sense are known. Italian and colonial troops were instructed to recognize the typical smell of yprite and the dark color that vegetation assumed when hit by this kind of mustard gas (and soon the Ethiopians too learned to figure out such signs). They were scarcely provided with CBRN equipment (as they would be called nowadays: anti-gas masks were distributed only for 10 percent of the soldiers deployed in the theatre of operations, and, possibly, they remained in field depots, with the exception of Chemical Branch personnel) because bombings were not carried close to battlefields. Chemical devices were usually dropped very far from the line of fire, and several days’ march from friendly troops. With these premises, it would have been quite meaningless trying to reproduce such kind of chemical warfare in a platoon-level game. Other operational and political aspects have to be considered for a general overview of the Italian approach to chemical warfare during the Abyssinian campaign. On the operational side, it must be remembered that the several semi-private armies of the various Ras (which constituted the majority of the Ethiopian combat force) were more similar, for their modes of warfare and maneuvering, to guerrilla organizations and/or armed bands than to regular armed forces. So, only on a very few occasions did the Italians have the possibility to hit entrenched troops, military cantonments, large fortified redoubts, or concentration points for armed masses. Such targets are the only ones that can really grant operational success to chemical warfare, as had already been demonstrated by the experience of the Great War and would be repeated during the Iran-Iraq war of the Eighties (concerning the latter, we are referring to what happened at the Iranian front, not in the Kurdish areas, which experienced a genocidal-terroristic resort to chemical warfare). So, by taking into account the quasi-irregular character of the Abyssinian armies and their “scattered” nature, the Italians could only exploit their chemical capabilities in the way they had already done during counter-insurgency operations in Libya in the Twenties and Thirties, where, however, the above-described modes of employment had been carried out in a semi-experimental manner and on a largely minor scale. On the political side, chemically bombing large (and therefore easier to hit) urban settlements (an hypothesis taken into consideration by General Valle, the Chief of Staff of the Air Force of the time) would have certainly given rise to unforeseeable consequences at the international level, and, perhaps, also at the internal level, due to the deep impressions still imprinted in the popular conscience by the experience of Italian troops gassed during the Great War. 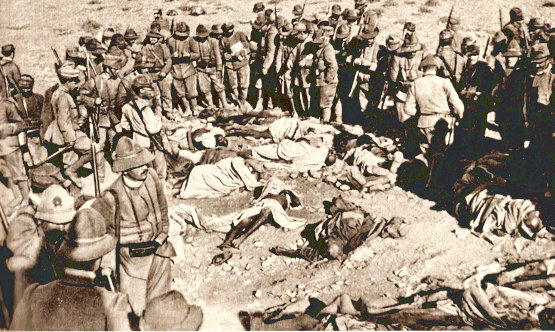 Such attacks had been theorized by the first generation of aerial warfare strategists of the Interwar Period (like the Italian General Giulio Douhet) and partially carried out by Spain during the Rif War of the Twenties against villages and populated oases. However the latter episode was almost unknown at the time, and had not collected, at the time, any international condemnation. For Italy, instead, things might most likely have evolved in more dramatic terms than in the Spanish case. Indeed, the Abyssinian War gathered soon undesired international attention due to the turmoil caused to both the League of Nations’ system and the equilibrium among the great powers of the time. Most of the Ethiopian cities were also full of war correspondents (maybe around one hundred), aid volunteers, military and civil foreign advisors (before the war Negus had contracted some civilian experts for improving several branches of State’s administration), etc. Undoubtedly, chemically bombing urban settlements would have placed Italy in a very embarrassing (and risky) position. The resort to chemical weapons by Italians during the conflict was clearly wrongful, according to international law. In April 1928 Italy had ratified the “Protocol for the Prohibition of the Use in War of Asphyxiating, Poisonous or other Gases, and of Bacteriological Methods of Warfare.” usually called the 1925 Geneva Protocol, a legally-binding document that Ethiopia ratified only on October 7th (four days after the beginning of the invasion). 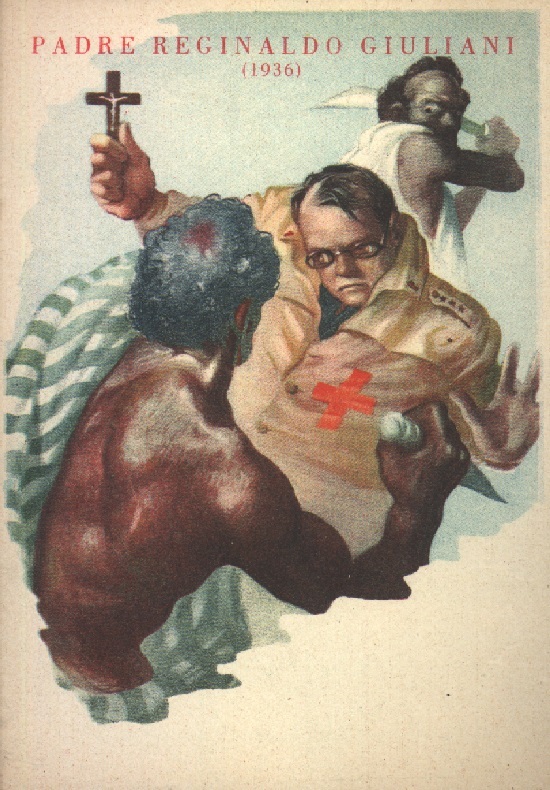 When the international community began to criticize the Italian resort to chemical warfare, Rome justified it as retribution for the Ethiopians’ use of dum-dum bullets (which breached the Hague Convention of 1899, Declaration III), atrocities quite often carried out against Italian prisoners and civilians (some of the latter worked in logistics supporting the troops, and sometimes were massacred by Ethiopian fighters), and abuse of Red Cross markers (an allegation possibly used by the Italians to justify the well-known bombing of some International Red Cross assets). The records regarding the initial Italian resort to chemical weapons match with the “retribution” arguments. On this matter see the attached table, which shows that chemical bombings began more than two months after the start of war; by that time, Ethiopian “misconduct” had already manifested (and they are well documented, sometimes also by Red Cross or League of Nations agencies). Moreover, Ethiopia had also declined Red Cross invitations to sign the Geneva Convention relative to the Treatment of Prisoners of War of 1929. Father Giuliani's murder would be used to justify chemical massacres in his name. At any rate, the above arguments do not lessen the wrongful character, according to the Geneva Protocol, of the Italian resort to chemical warfare against the Ethiopian Empire. Any Ethiopian misconduct in matters not related to chemical weapons did not legally justify the Italian flouting of said international agreement. However, despite any legal concerns, Mussolini agreed with the proposals to use chemical weapons, and also regarded them as a special measure in the event of difficult situations. But during the months of Emilio De Bono’s tenure, the old Marshal who initially commanded the Italian invasion refused to employ them. Marshal Pietro Badoglio and General Rodolfo Graziani, who replaced him, would enthusiastically use them. Graziani would also resort to dropping leaflets together with chemical bombs in order to let the enemy know they faced retribution, in a primitive sort of psychological warfare. Don’t wait to put Conquest of Ethiopia on your game table! Join the Gold Club and find out how to get it before anyone else!